Chelsea Manning, the former Army intelligence analyst who was imprisoned for leaking hundreds of thousands of classified documents, could be featured in an upcoming issue of flagship fashion magazine Vogue. The Huffington Post reported that Vogue‘s editor in chief is seeking designs for Manning's possible fashion spread. Manning, a transgender woman, was released from prison May 17 after serving seven years of her 35 year sentence. Manning was charged with 22 offenses in 2010, including violation of the Espionage Act. She pleaded guilty in 2013 to ten of those charges to avoid the death penalty, before being convicted of further charges. Former President Barack Obama commuted her sentence during his final days in office. Sources now suggest that the convicted leaker will appear in a future issue of Vogue. A spokeswoman for the magazine denied the claim, informing reporters that, "we do not comment on rumours of future editorial." But Vogue editor-in-chief Anna Wintour is reportedly asking designers to submit fashion ideas for Manning's spread, according to the Huffington Post. 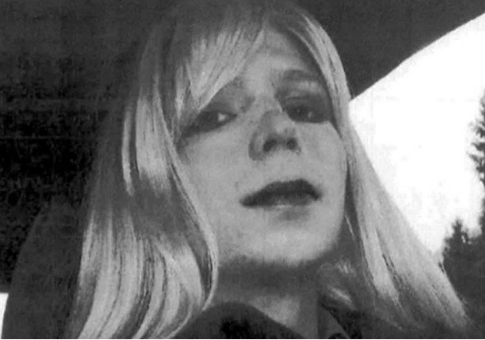 Manning posted a photo to her Twitter and Instagram on May 18 revealing her post-prison and post-transition look. Manning had successfully lobbied the federal government in 2015 for hormone replacement therapy so she could transition while incarcerated. The photo garnered praise from Vogue, which called it a "bold new look." This would not be Manning's first magazine appearance. In September of 2015, she gave an interview to Paper Magazine on government, technology and gender; and in April she appeared in Interview's "New Progressives" issue, which featured activists focused on gender and LGBT issues. This entry was posted in Culture and tagged Bradley Manning, Chelsea Manning. Bookmark the permalink.